Purchasing new floor coverings in general is a very difficult process. 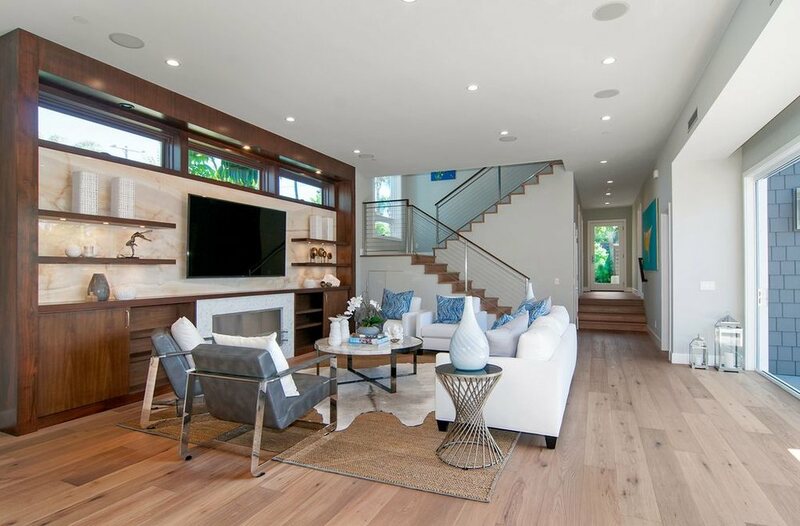 Many folks in San Diego are involved in moving their furniture as if they were moving out, then removing all of their flooring to replace with new floor coverings is often a challenge. We take pride in our 28 years of experience and knowing that we have many satisfied clients that are happy to refer us to their friends and family. Chad and his wife did a great job installing the hardwood floor in my daughter's bedroom. They were courteous, on time, helpful, and did a first rate job. I am extremely pleased with the floor and highly recommend Solana Flooring. David Bone has an attention to detail. He will always be on time and on budget. Many times we have attended events and shared our trusted contacts. David comes highly recommended." Solana Flooring provided personal service and assisted us in creating a beautiful home with floors that we love. Their attention to detail and delivery in a short time frame puts them in a league of their own. We would highly recommend Solana Flooring! Thank you for the gourmet brownies. We are very happy with our carpeting. Delays do happen and we understand. We'll surely refer you to our friends. Let us know if we performed up to your expectations on your Floor covering or Window project. Remember to bring the kids so that you can take some time to enjoy all that Solana Beach has to offer. We felt very fortunate to find Solana Flooring. They were most helpful, answering all of our many questions. And now, we couldn't be more pleased with our new laminate floors! They are beautiful and were installed with such precision and attention to detail, including difficult spots in the house like closets with built-in shelves and cabinets. Mik is totally professional in his work and interactions. We felt immediately at ease when we first met him and felt comfortable throughout the process getting all the answers we needed. Everything was completed according to schedule. We wouldn't hesitate to refer our friends to him.